English is a notoriously inconsistent language, but having some general rules or guidelines laid out for us is very helpful if one wishes to communicate effectively. 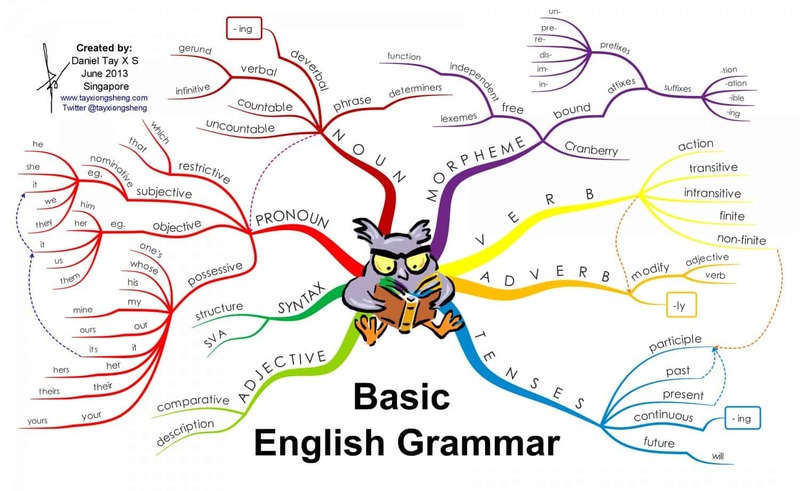 Questions are addressed in today’s graphic such as: Objective vs. subjective; verb and adverb modifiers; the difference between pronouns and nouns; and the concept of morphemes–which I wasn’t familiar with until now. Apparently, words are considered “free standing,” while morphemes sometimes stand alone, but don’t always. (Look into morphology-the study of morphemes–for a more in depth definition).